This Jewish youngster, born in Chicago, December 25, 1913, was a newcomer at the Wembley Six-Day race last year, and proved to be a spectacular rider. Outstanding as an amateur, "Jerry" Rodman has become a very skilful Six-Day rider, and is very efficient on small indoor tracks. He has taken part in over 30 Six-Day races, and has made enormous progress during the last year. He finished the Buffalo Six-Day race last month, losing only on points. Teamed with " Cocky " O'Brien, we should see the best American technique in Six-Dav racing displayed by this pair. 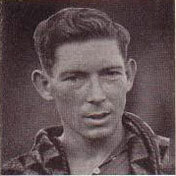 Henry or "Cocky", as he is nicknamed on account of his daring and confident riding - O'Brien was born in California, April 5, 1910. O'Brien is an Irish-American and is teamed with Jerry Rodman, whom he has-partnered in many Six-Day races with great success. He was a member of the American cycling team at the Olympic-Games in 1928 and in 1932. He has won three Six-Day races, including one in San Francisco, and is a good all-round rider, having competed in motor-paced races and outdoor track racing. Marcel Guimbretiere (whose tongue-twisting name is pronounced Gam- Bretty-Air) was born in Brittany, December 4, 1909. He is known as the Flying Sailor, for he learned to ride a bicycle on a battleship whilst carrying out his compulsory service. After winning everything before him as an amateur, Guimbretiere joined the professional ranks and has become France's most experienced and successful team race and Six-Day rider. He has already won 10 of the world's great Six-Day races, including three times New York, three times Chicago, Paris, Berlin and others, and he is always outstanding for his colourful riding. He is remarkable for his perfect position, great stamina and quick brain. Michel Pecqueux - pronounced Pecker - was born in the district of the Somme, December 26, 1906. This French rider is best known to cyclists here as the world record-holder for 1 kilometre and 2 kilometres, and as having held the world's tandem record for one hour with Richard, until it was beaten by the English tandem-riders - Mills and Paul - last year. Pecqueux is a very experienced track rider and a prolific winner of Primes. 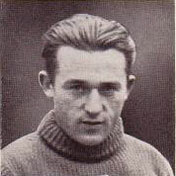 He won the Grand Prix of Paris Omnium in 1937 and the Grand Prix of Paris team race, also in that year. Pecqueux and Guimbretiere, teamed together, are worthy representatives of France. Christensen, born in Denmark, January 28, 1911, started riding at the age of 15 and won amateur races of all types. He turned professional in 1934 and won the international Derby in Copenhagen, partnered by Jean Aerts. 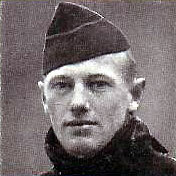 In 1933, Christensen left for America and rode in many Six-Day races there, and was placed in most of them. An excellent team rider, he has won many important Madisons in Europe. Bjorn Stieler is teamed with Christensen. He was born in Copenhagen, July 24, 1912. 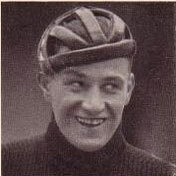 Winner of innumerable team races, Stieler was tandem champion of Denmark, with Dissing, for four consecutive years. In 1937 he won the Berlin Night race - a team race of 24 hours- with Billiet as a partner. Stieler rode in the Antwerp and Paris Six-Day races recently, with Christensen as a partner, and the team so distinguished themselves that they were invited to compete in London. 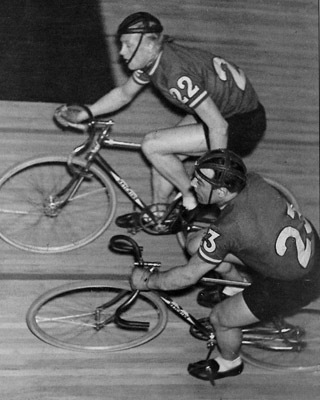 Emile Diot and Emile Ignat are the champion Six-Day team of France. Teamed together now for years, they are both strong and successful road riders, and also form France's most formidable track team. They have won hundreds of team races, including Chicago Six-Days race twice in one year. They rarely take part in a race without finishing in one of the first three places. Both these riders were born in Paris, and are known as the "inseparable Emiles". They will be seen riding up to their reputation - one of the greatest teams France or any country has produced. 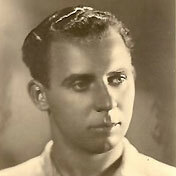 Diot was born on July 3, 1913, at Osmery, France. He began to ride as an amateur in 1930 and turned professional in 1934. Ignat, brilliant Parisian rider, is looked upon as the outstanding young French cyclist in competition to-day. Was born in Paris and rode amateur for three years before turning professional. Last year at Wembley Diot and Buysse were keen rivals and met in a pursuit race, which Buysse won after a hard tussle. The rivalry will probably be renewed this year. Karl Goebbels, who was born in Germany, February 13, 1903, is considered the best individual team race rider in Germany to-day. He is a first-class all-rounder and an excellent sprinter. Has won the Cologne and Berlin Grand Prix. He has won five Six-Day races, with a different partner each time, and has been placed second in eight others. In addition to these victories he won the two Six-Day races held in Buenos Aires last winter and was placed third in the Buffalo (U.S.A.) Six-Day last month, with Zims as his partner. Goebbels is again teamed with Zims, and the team are sure to give an excellent performance in this race. Hans Zims is a German rider very well known to all followers of cycling as a partner in the famous Zims-Kuster combination. 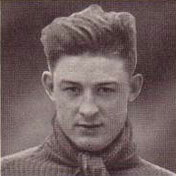 Zims was born in Cologne, January 27, 1908. He has won almost more team races than any other rider on the Continent, and has been a winner of eight-hour races in Berlin, Cologne, Dortmund. Bale and Stuttgart. Riding with Goebbels, Zims was placed third in the recent Six-Day race in Buffalo, U.S.A, and teamed with this rider again in London he should give a very good performance. Frans Slaats was born on June 11, 1912, and has proved himself one of the greatest all-rounders Holland has ever produced. He is at home on any type of track or road, and in any type of race. He has won innumerable Six-Day races and hundreds of Madisons. When Slaats first appeared in Paris he was criticised as being too long and thin ever to ride a bicycle well, but he has more than confounded his critics, for he has won all the principal European Six-Day races in his time. He held the world's hour record (unpaced) with 28 1/2 miles in the hour before Archambaud beat it last Autumn. Slaats will shortly attempt this record again, and the experts consider he will again beat it. This rider commenced his cycling career as a Helper boy at Six-Day races. Cees Pellenaers was born at The Hague, Holland, May 10, 1913. As an amateur, the first race he won was the Road Championship of the World in Leipsic, 1934 - an astonishing start. As a professional, Pellenaers had won Six-Day races and team races all over the Continent. Teamed with his equally brilliant partner, Slaats, he will be a danger in the sprints and time trials, whilst his team-mate will be a strong support in the jams. This 20-year-old Belgian rider is the “baby" of the race. He is a product of the "tough" Belgian school of road riders. 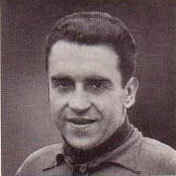 Robert Naeye made his debut last year in the Brussels Six-Day race, 1937, and finished fourth, after having won innumerable short and long road races in Belgium. He rode in the Antwerp and Ghent Six-Day races and so distinguished himself that Deneef, a hardened and experienced Six-Day rider has chosen him as a partner for London. Naeye is considered Belgium's coming man. He is a fast sprinter and is strong in the jams. Roger Deneef is one of the veterans in Six-Day racing. He was born in Belgium, April 1, 1905. He has ridden in 24 Six-Day races, and has won 5 of them and been placed 12 times. Deneef would be accepted as a partner by any Six-Day rider, for he is a first-class sprinter and as tough as iron when a hard jam is on; he is, of course, like his partner Naeye a product of the Belgian road school. Deneef has saved the greater part of his Six-Day winnings and is to-day one of the wealthiest of the bike riders. He has a special hobby - playing the piano-accordion, so do not be surprised if he entertains you with a time, whilst his young partner represents the team on the track. This rider, born in Italy 22 years ago, is the son of the famous old Italian Sprint Champion - Caesar Moretti. Caesar, Jnr., won the Outdoor Omnium on the Buffalo track, Paris, last month. He was a dangerous challenger for the world's professional road championship title last year at Copenhagen - a fall a few miles from the finish spoiling his chance when in the lead. Moretti has ridden Six-Day races in New York and Chicago, Paris and Antwerp, and the London Six-Day last year. He improves with each race and is expected to make the best teams look to their laurels. Alvaro Giorgetti, 25 years of age, is one of Italy's best all-rounders. He has won road races and track races at all distances, beating many of the world-famous teams in the Chicago and New York Six-Day races, where he has finished in each race. He has ridden team races all over Europe, and he is one of the smartest riders of small steeply banked tracks. He rode in London last year with Moretti, and this team, after a bad start, finished extremely strong, collecting many good primes. Twenty-five years of age, Buysse of Belgium is considered the strongest individual rider in Six-day Races, and team races generally. He has many victories to his credit, having won Six-day Races in Berlin, Brussels, Marseilles, Rotterdam, Antwerp, and elsewhere. Buysse partnered Jean Aerts in the first Six-day Race at Wembley, and was always noticeable for his strong riding, in the jams and fast sprints. He and his partner took second place at the finish. Last year he won with Piet Van Kempen, and is expected to put up a record before his career ends which might equal that of his famous partner Van Kempen. Karel Kaers is the phenomenon of the bike game, from the home of the world's hardest school of riding —Belgium. He is the greatest all-round cyclist in the world to-day 23 years of age, weighs 15 stone and is 6 ft. 2 in height. Kaers can equal the times of the world champion sprinter, Scherens, even after three or four days of hard Six-Day riding. A world road champion and road champion of Belgium, he beats the world in Omnium races, time trials, long and short distance road races, and has just won the Paris Six-Day races with Billiet as a partner. He can ride sprint and road races in the same week - and beat the champions in both! Kaers is considered by his professional colleagues to be the "Perfect Bike Rider". He is teamed with another phenomenal world champion, Georges Ronsse, and this team will not be far away on Saturday night. Georges Ronsse was born in Belgium, March 4, 1906. As a child he was a refugee in England during the Great War, and it was whilst he was here that he learnt to ride a bicycle. 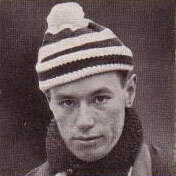 With his first Rudge Whitworth he won the Junior Amateur and Independent Championships of Belgium. As a professional he has won Bordeaux-Paris 3 times, has won Paris-Roubaix, Paris-Brussels, the World's Road Championship and has finished fifth in the Tour de France. Ronsse holds the world's tandem paced record-34 3/4 miles in the hour. He has been three times Paced Champion of Belgium, twice cross-country champion, and three tirnes third in the World's paced Championship. One of the finest riders Belgium has produced, Ronsse is paired with Kaers to make a very fine team. Cor Wals was born at The Hague, February 26, 1911, and is the son of an important manufacturer of margarine imported into this country. This fair-haired Dutchman is one of Europe's outstanding Six-Day riders, and usually partnered with Pijnenburg he has won innumerable Six-Day races. He has also won Six-Day races as a partner of Guimbretiere, Billiet, Van Kempen, Pellenaers, and many others. To watch Wals ride will tell you more about bike riding than any written word can do. Wals graduated through the road school as an amateur and is at home in a sprint in the best company. He is one of the greatspecialists on small, steeply banked tracks, and with Piet Van Kempen as his partner will make up a remarkable team. 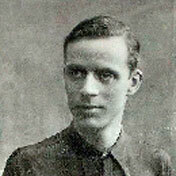 Piet was born in Holland in 1898, so that he is now approaching his 40th birthday. He commenced riding at 14 years of age, and is the fastest and most successful Six-Day rider in the history of cycling. He has won over £100,000 in prizes - and has kept most of it! Piet's record is too long to print in full, but it includes 35 wins out of 165 starts, and he has rarely taken part in a race without finishing amongst the first three. Fast as lightning and strong as they can be made, with a head full of brains and the courage of a lion, Piet has been the dominating personality of the bike game for 20 years. He has won all classes of races. Evergreen as he is, it is rumoured that this is his last Six-Day, and you will all certainly wish him good luck in it. Born in Belgium 32 years ago, Maurice Depauw is one of the "gentlemen" of the Sports World. He has ridden in over 60 Six-Day races in Europe and America. A clever and fast rider, he has won all types of races from sprint races to 24-hour and Six-Day races, as well as the Road Championship of Belgium. Joe Buckley has chosen Depauw as partner because of his vast experience, clever tactics and great speed and strength the "jams". Joe Buckley, at 24 years of age, is fast proving himself one of the best riders Australia has sent to us. Joe is one of the only men in the world to ride in the World's Road Championship and the World's Sprint Championship in the same week, as he did at Copenhagen last August, and he acquitted himself well in both events. In Australia he holds many records and championships. Last vear, after riding the Wembley Six-Day. Joe went to South America with Bill Burl as partner and finished sixth in the Buenos Aires Six-Day, as well as winning the Buenos Aires Grand Prix sprint race. This young Australian rider has undergone three months' "hard" training with the tough Belgian road school. Cor WALS and Piet van KEMPEN clearly riding as 22 and 23 in this 1938 photo - and on Hetchins frames. I think I need to check out the numbering of the teams! Ah ... I think 13 was not used! Fixed. Very little original material found - but at least this page came from the official programme. We need some contemporary reports of the racing. Do you have any copies that you can share?